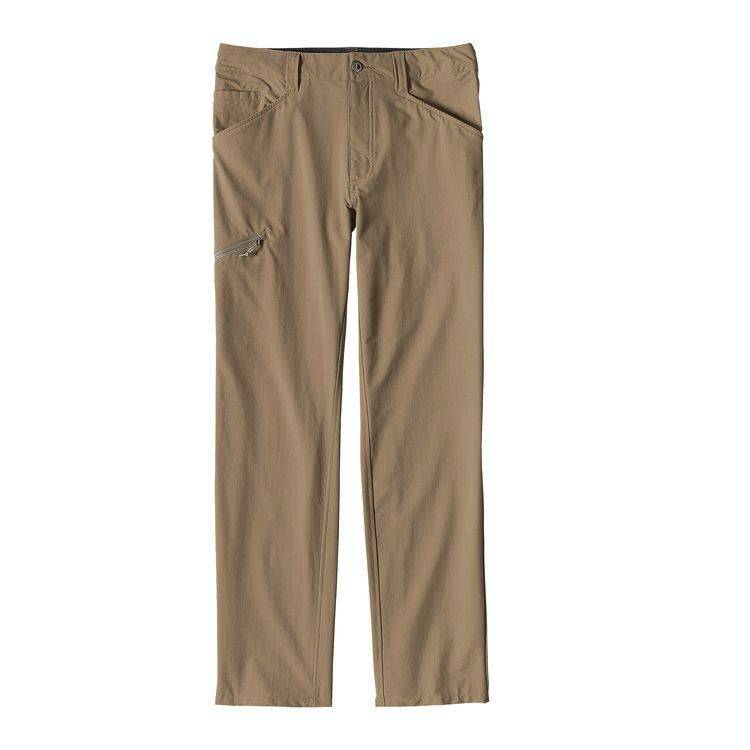 Light and technical, our movement-oriented Quandary Pants are made of a strong, lightweight and quick-drying 95% nylon (65% recycled)/5% spandex fabric with a DWR (durable water repellent) finish to resist moisture. The curved waistband follows the contours of your hips for a personalized fit, while a gusseted crotch and articulation in the knees allow a full range of motion. They have front handwarmer pockets (the right with a coin pocket), two rear pockets and a right-thigh pocket with a security zipper so you know exactly where you put your keys. Details include wide, reinforced belt loops, zip fly with metal web-button closure and 50+ UPF sun protection. Inseam is 32".